Texas celebrates Arbor Day the first Friday in November, since fall is the best time to establish trees before the weather gets hot and rain diminishes. 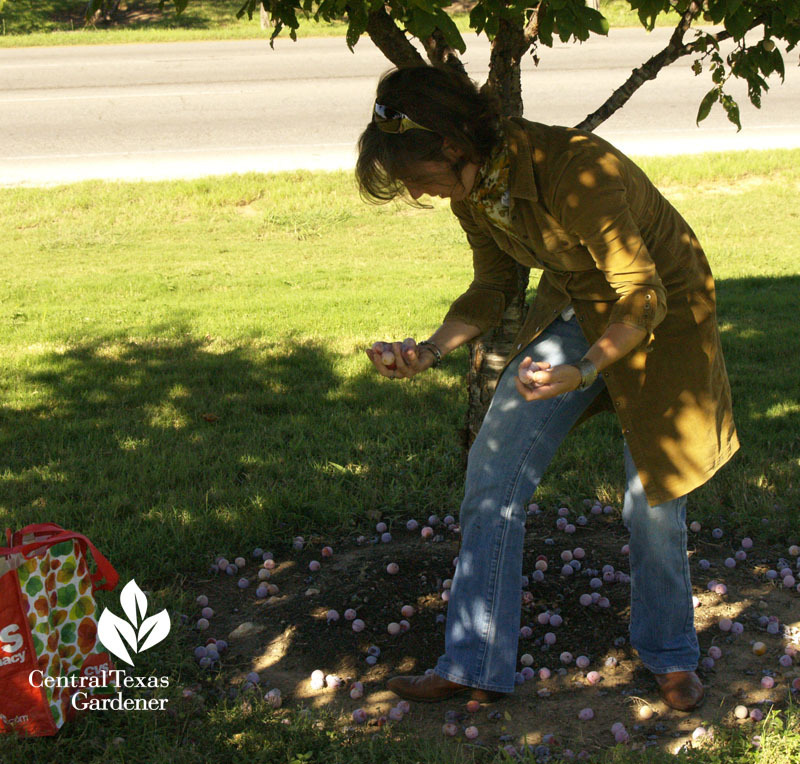 Certified arborist April Rose, City of Austin Urban Forest Health Coordinator, digs in with tips to start your new tree right. Plus, get her answers about troubled trees, from fungal disease to tree hollows. 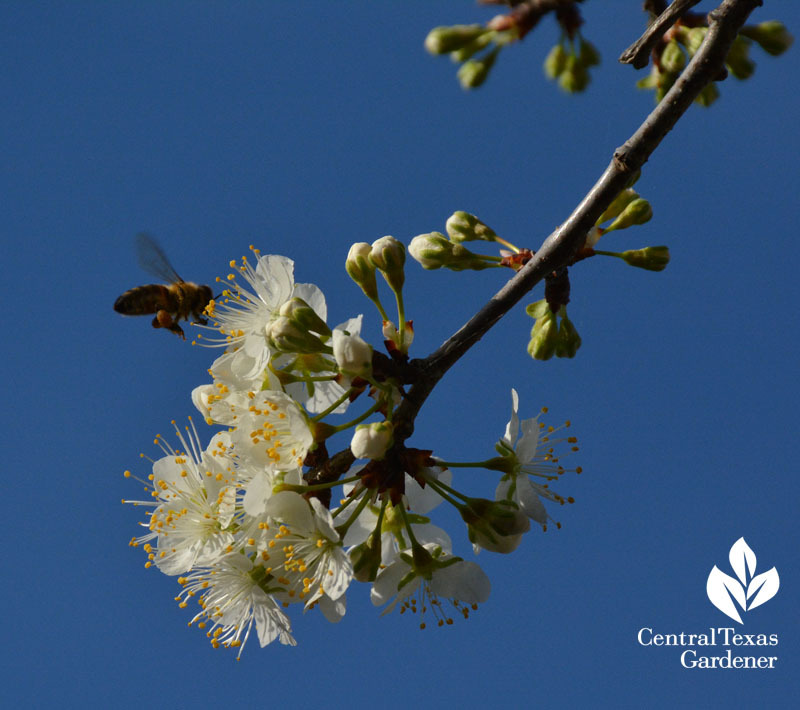 Plant of the Week is native Mexican plum, a smaller tree that delights pollinators and our senses with late winter flowers and fall fruits. On tour, Pat Mozersky artistically framed a shady courtyard garden with low-maintenance plants. Carla Crownover from Springdale Handmade explains how to grow garlic, elephant garlic (a type of leek), shallots and onions. 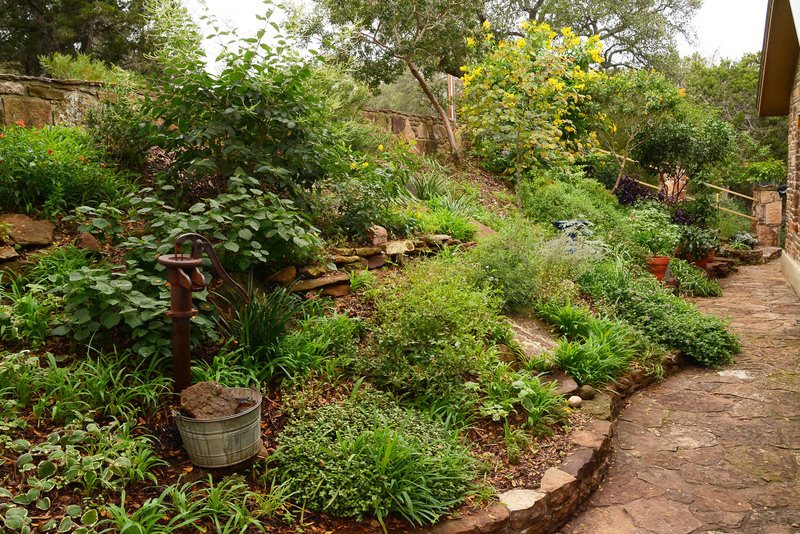 Under graceful oak trees, Pat and David Mozersky’s San Antonio courtyard garden revels in sun-dappled serenity. They opted to build a compact house after leaving the family-sized home where they raised their sons, Joel and Jason. But there’s plenty of room to cook and entertain. That’s important to Pat who wrote the popular San Antonio News-Express column, Chef’s Secrets, for 22 years. To match the resourceful new house, Austin garden designer Mark Word rendered a stylish, low-care, water thrifty composition outside. 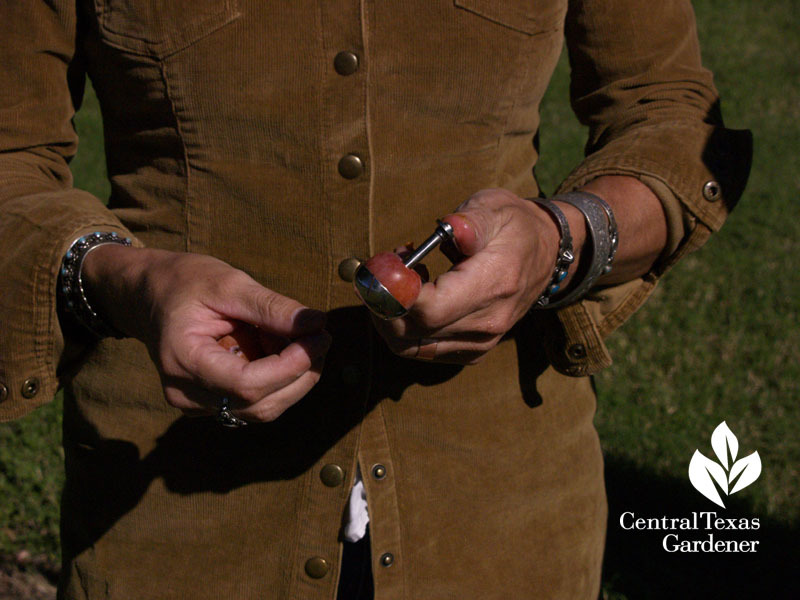 Certified arborist April Rose, City of Austin Urban Forest Health Coordinator, digs in with tips to start your new tree right with host Tom Spencer. Are spots on tree leaves bad? What about big cavities in a tree trunk? And why are leaves distorted on a redbud tree? 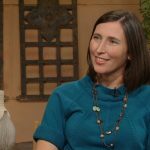 Certified arborist April Rose, City of Austin Urban Forest Health Coordinator, answers viewer questions about their troubled trees. Gail’s concerned about a hollow in the trunk of her bur oak tree. When there is a hollow or cavity in a tree, you should get it inspected by a certified arborist to make sure the tree is sound and not prone to failure. Generally, a smaller wound or hole is less likely to compromise a tree’s safety in the landscape. But if a tree has a wound near the base and it is greater than 30% of the tree’s circumference, the chance of it being prone to failure increases rapidly. In cool, moist weather, gardeners find lots of spots on the leaves of their trees. There are many different kinds of fungal diseases. And generally, the recommendation is sanitation or removing as much leaf litter as possible to limit reinoculation the following year. The spots on Ray’s tree looks like it could be Tubakia, one of the many fungal leaf spots that are common in oak trees during wet, humid seasons, and more likely in trees that may be experiencing stress, perhaps from being recently transplanted or from our summer drought. Usually, these spots are not a major concern. You should always practice good sanitation by removing all leaf litter to limit the inoculum source next year, and also evaluate the cultural practices to see if there’s anything that can be done to increase vigor for this tree. Perhaps you can limit competition from turf, increase mulch, apply compost, and/or ensure that water is available during periods of drought. James has a question about his redbud tree. It’s about four or five years old, and it has been struggling for a few years, until last year when it seemed to be established. But then this spring, it developed odd-looking leaves. James notes he’s on sandy loam soil east of San Antonio. This tree has damage that appears to be a response from an herbicide or other chemical that may have been applied nearby. Consider the recent history of this site and see if you can pinpoint some kind of chemical application that may have occurred to treat turf, weeds, concrete, something in the area. Remember that some chemicals can volatilize or become airborne in warm temperatures and can damage plants just by moving through the air. 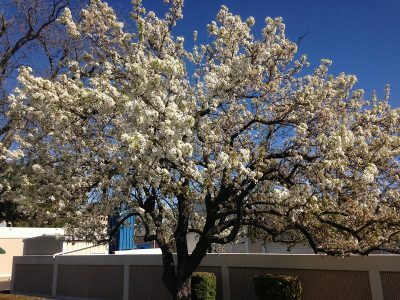 A certified arborist, especially one that is also a licensed pesticide applicator, may be able to help you determine the cause of this damage to the foliage and what remediation might be appropriate. 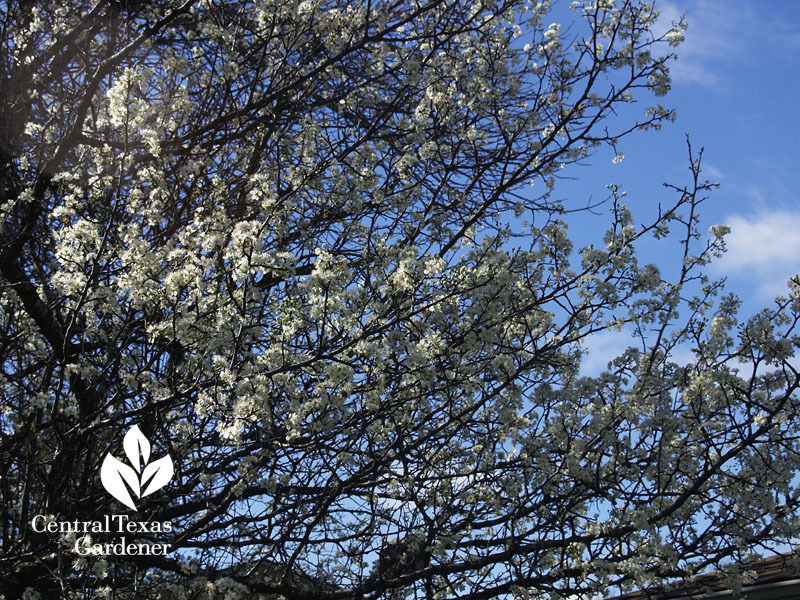 Mexican plum's a native, deciduous tree with beautiful, fragrant spring blooms in February and early March. Its white flowers, similar to other fruit trees in the Prunus family, are highly attractive to bees and other pollinators. 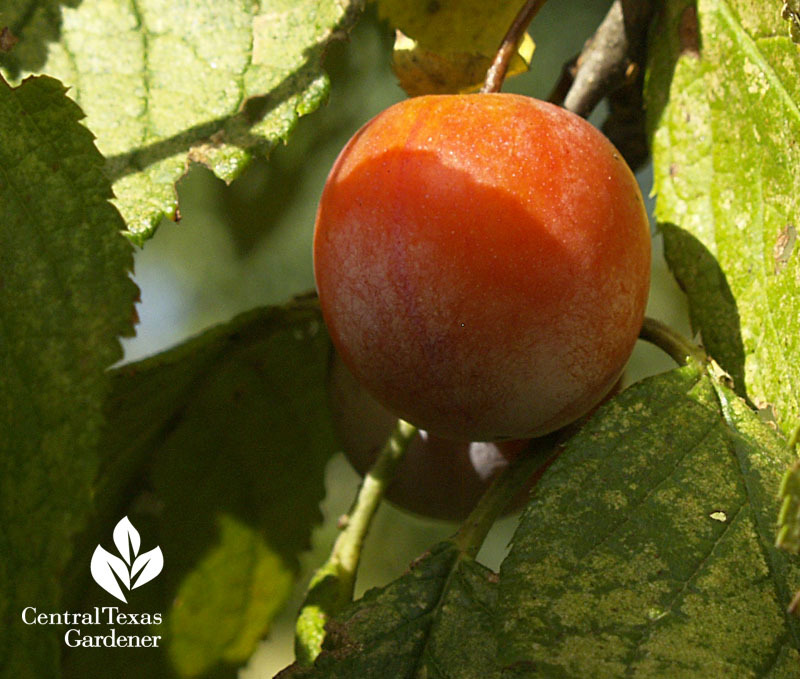 At maturity, Mexican plum's about 20-25' tall, with spreading branches, perfect for smaller gardens. As it ages, the bark peels to reveal dark stripes, adding structural interest the garden in every season. Mexican plum likes sun, but can take some shade as an understory tree. 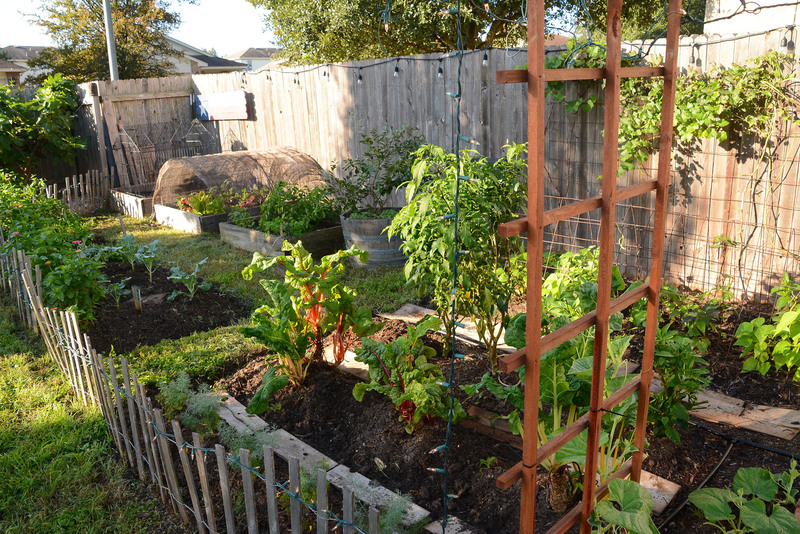 Although it's drought tolerant, additional irrigation helps it to hang onto the small fruits that ripen in fall. Birds love to dine on the small fruits, be we can make jams and jellies out of it, too. Carla Crownover from Springdale Handmade explains how to grow garlic, elephant garlic (a type of leek), shallots and onions.